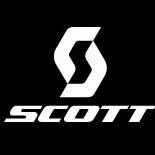 SCOTT Sport's high-end bike, electric bike, wintersport, motosport, outdoor and running products showcase their passion for sports and the great outdoors. INNOVATION - TECHNOLOGY – DESIGN is the essence behind all SCOTT products and the vision of our engineers and designers. "NO SHORTCUTS" defines the SCOTT spirit of doing things the right way, for the right reasons. It's how they see product design and it embodies the true beauty of sport- the greatest personal achievements aren't accidents, they are hard-earned and well deserved. SCOTT exists to provide athletes with innovative gear, inspiring them to push themselves to their limits. They make them for those who are going to do what they do whether there's anyone watching or not. They believe in ambition, passion, and dedication just as much as they believe in design, innovation and technology. SCOTT electric bikes are well known for their excellent craftsmanship and quality.  Bike Attack Electric in Santa Monica is an authorized electric bike shop, selling the SCOTT E-Spark 710 and 730 in their showroom on Main Street, across from Coffee Bean. They have the same sense of modest confidence. They have the same knowledge that perfection is unattainable, but there's no bigger thrill than trying to reach it. SCOTT loves those people because they understand them, and there's nothing more important than giving them what they need to enjoy the experiences they crave. SCOTT electric bikes are now sold at Bike Attack Electric in Santa Monica, for example the Scott eSpark 730. © 2019 Bike Attack Electric. All Rights Reserved.